We’d like to thank Catherine Belmont for the following story. Climbing the spiral staircase to our morning class was an effort on a very cold grey day. Students hurrying up the five flights of stairs rushing in just before Madame started class. It was a grammar class, we were asked to speak only in French. The room over looked the Eiffel Tower in the distance. The class was for students attending the Sorbonne who were just beginning to learn French. We all struggled to learn as quickly as possible. Living in Paris was a once in a lifetime experience. As class ended I noticed a new face in the crowd of students, how odd to see Bill Murray. I went to my next class across the Seine. It was a Phonenique class. Bill walked in and sat down next to me. He wore Converse tennis shoes and pulled out a Mont Blanc pen to take notes. The professor called him William. I smiled and introduced myself. He said he had finished a film and wanted to take a few classes. I had just put my career in publishing on hold and decided to attend the Sorbonne and live in Paris for a year. As the months went by, Bill would greet me on the street as we passed on the way to class. Kind of a cool thing. My French was better, I understood far more than I could speak. On our last day of the term I saw Bill on a Metro platform. I asked how he did on his finals; he smiled, shook his head, and got on a train without saying a word. That was the last time I saw him. I guess we both were overwhelmed with strenuous experience of the Sorbonne. It was finally a beautiful warm day in Paris. 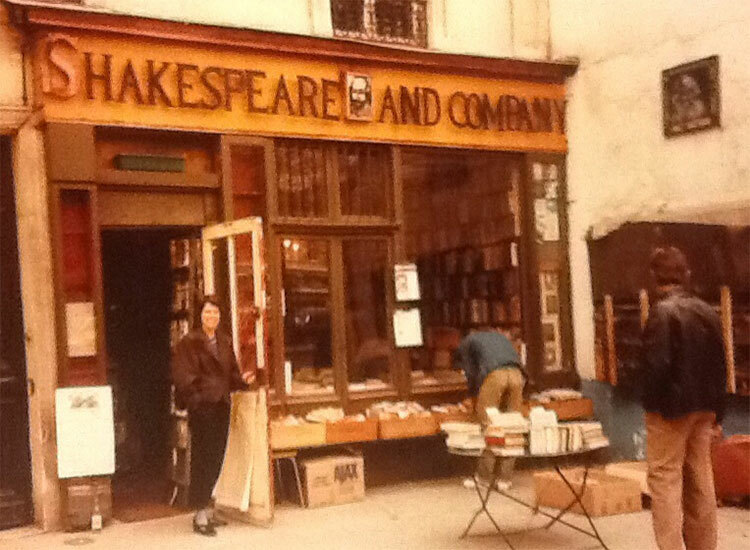 I got on the next Metro train went to my favorite bookstore, Shakespeare and Company. Truly a once in a lifetime experience. So you politely asked him how he did on his finals, out of concern, and he heard you but totally ignored you. Only a cult would proceed to fashion a justification for being a jerk: “overwhelmed by the strenuous experience of the Sorbonne” (where he just took a couple of classes, rather than enrolling to any serious degree). If I had failed my final, I may have given the same response. Only the author can speak to his facial expression, his posture and how he looked. I had imagined he was kind of dejected and in no mood to talk. It’s instructive how everyone brings their own interpretation to a description which leaves much to the imagination. I suppose I have to admit, I simply feel fatigued by the celebrity glorification of someone whom I’ve especially regarded a minor actor, sailing on the every-slouch merit from relating to the lowest common denominator – the easiest avenue to bypass all the sweat equity of acting craft, getting drunk and keeping to the sine qua non of adolescence: trying to be cool.